Every year on April 1stwe are reminded of the silly pranks that people play upon one another. But the reality is that we make just as many faux pas in the office as we do in our everyday lives. 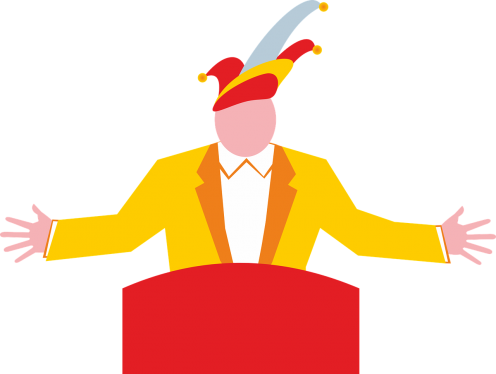 April Fools may have come and gone but there are still plenty of foolish things we can do in business (and in our personal lives) that could cost us time and money. But the good news is that there are things you can do to ensure you don’t make the same mistakes over and over again. Back in January we highlighted that the New Year celebrations were scarcely over when another major cyber security breach made the headlines. It was reported that a hacker group known as ‘The Dark Overlord’ threatened on Twitter to leak 18,000 sensitive files relating to the 9/11 terror attacks. While you may think that hacker groups would not be interested in your company’s information the truth is that they’re not only targeting major corporations with millions in the bank. Those are often harder to hack. It’s easy to tackle small organisations too as they have more to lose reputationally and may more readily stump up ransom cash. Improving technology or replacing manual processes technology may mean an upfront cost but it could save the business lots of money in the long run. Once software or any other type of tech you adopt to make your services more efficient is up and running the cost saving and benefits could be endless. You could, for example, extend your office hours through the introduction of robo chat software that could answer your clients’ questions when you’re not around. It could also help your staff to work remotely and cut down on your marketing budget. Importantly, it will also save your staff time as menial tasks are automated – freeing them up to concentrate on work that brings in more sales or that they specialize in doing. Pride often comes before a fall. Or so the saying goes. You may believe you have the right in-house expertise to deal with a problem or to find a solution. But if you don’t then it’s always best to hire experts.